On January 5-6, the Peggy Kirk Bell Girls’ Tour takes over Pinehurst Resort as champions and top performers of the past season gather for the 2018 Tournament of Champions presented by Golf Pride Grips. The girls will take to the prestigious No. 8 Course of the resort located in Pinehurst, North Carolina as they battle for the ultimate title: Champion of the Champions. To earn an invitation to the weekend of events, players were required to have met the specific pre-tournament qualifications. The top participants pu nched their ticket to the TOC by winning a tournament on the 2018 PKB Tour circuit, winning the 2018 Regional or National Order of Merit race in their respective division, finishing in the top of the field at 2018 PKBGT Championship Events or finishing runner up at PKBGT Classic events. The field of 61 competitors will be split into two separate divisions of play; the Bell National Division and the Prep Preview Division. There will be representatives from twelve different states along the east coast, ranging from Florida to Pennsylvania. We delve deeper into each division with our players to watch! The Bell National Division field features 39 of the tour’s top players, including 29 of the top 100 players on the PKBGT Performance Index. Headlining the featured players list is future UNC Tar Heel Nicole Adam (Pinehurst, NC 2020) who is no stranger to the resort located in her hometown. 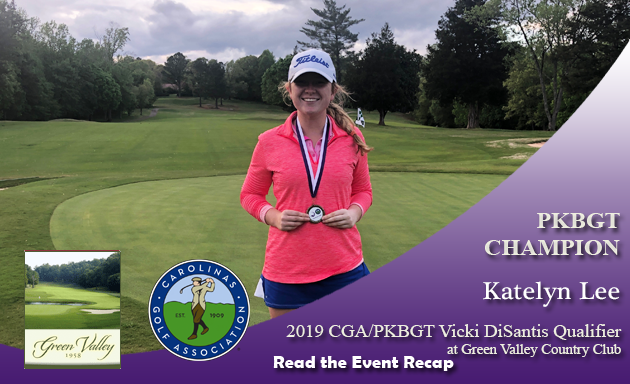 Adam, who is currently ranked second on the performance index, earned her spot in TOC by winning the TYGA-PKBGT North State Girls’ High School Classic at Campbell University’s Keith Hills Golf Course after firing a three-under 69. Rebecca DiNunzio (Norfolk, VA 2019) is currently ranked 15th on the Performance Index. 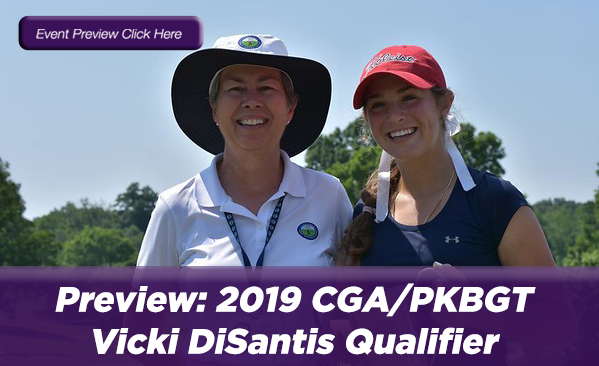 DiNunzio frequented the top five in the PKBGT events she participated in during the 2018 season and her win in the Peggy Kirk Bell Junior at Pine Needles Lodge & GC secured her spot in the TOC. A recent verbal commit to High Point University, Danielle Suh (Herndon, VA 2020) enters the tournament ranked sixth on the Performance Index. Suh earned her invitation to the TOC after securing two victories in the 2018 season. 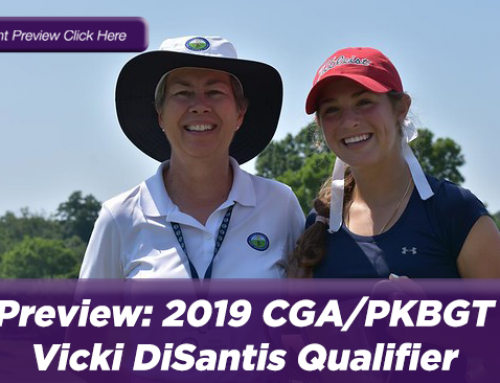 The first came at the NOVA Championship at Hidden Creek CC in late June and the second followed in early August in the Tour Championship at Salem Glen Golf Club. Ranked seventh on the Performance Index, Melanie Green (Medina, NY 2020) enters the tournament following a top ten finish at the PKBGT Invitational in early November. 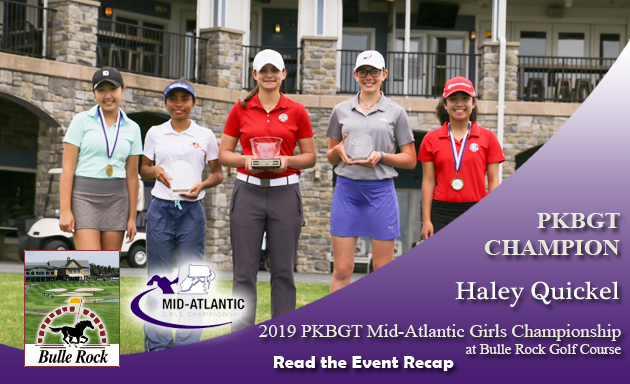 Green earned her spot in the TOC after winning the Mid-Atlantic Girls Championship at Hillendale Country Club in April, and followed that performance with two top five finishes in her next two events. 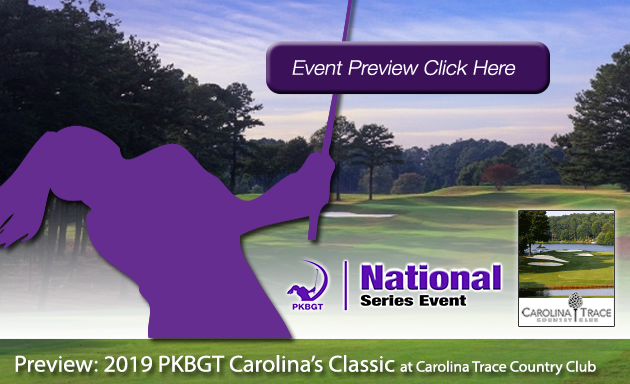 Rounding out the top players to watch in the Bell National Division is Kayla Smith (Burlington, NC 2019) who enters the tournament after earning her TOC invitation at the Women’s Health Classic Junior Challenge Symetra Qualifier at the Links at Stoney Point. 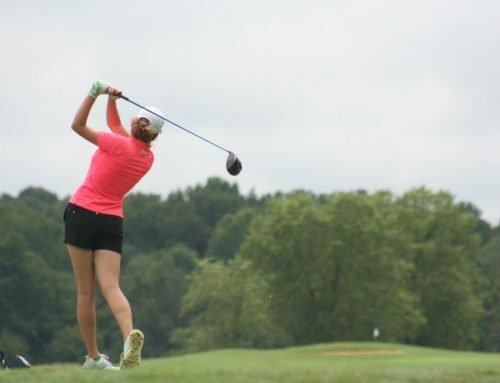 Along with her invitation, she earned the opportunity to compete in a Symetra Tour event! Smith is ranked 10th on the Performance Index and looks to move up with a strong performance on Pinehurst No. 8. The Prep Preview Division features 36 rising talents who competed in both the Futures and Prep Divisions in their bid for an invitation to the 2018 Tournament of Champions. Leading the group of featured players is Macy Pate (Boone, NC 2024) who is ranked 95th on the Performance Index. Pate’s busy 2018 season featured appearances in 16 different events including two wins on the North Carolina One-Day Series, the first coming at Statesville CC to secure an invitation to TOC. She topped her season with a win on the Futures National Series at the ProQuip Girls Classic at NC State’s Lonnie Poole GC. Catherine Qiu (Great Falls, VA 2024) had no issue winning in the Futures Middle Atlantic Division, taking home first place honors in her final four events of the 2018 season to secure the Futures Regional Order of Merit title. 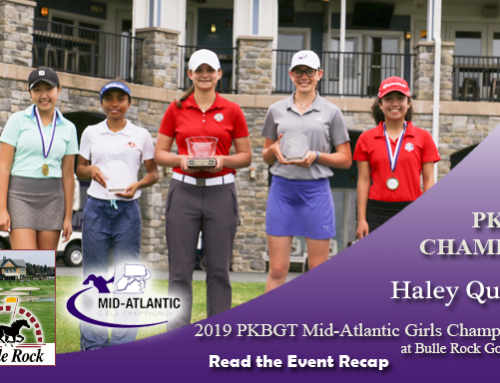 Her win at the Middle Atlantic One-Day Series at Hobbit’s Glen GC secured her invitation to the TOC and kick started an astounding run of success. Qiu currently sits 109th on the Performance Index. 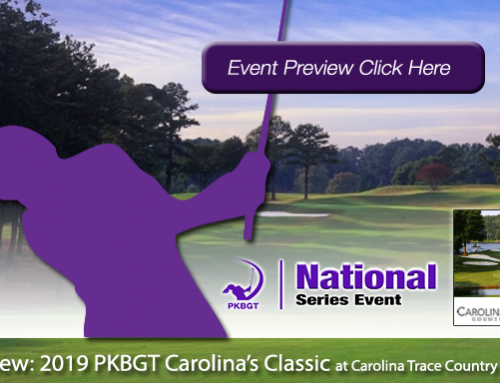 Fresh off a second place finish at the Palmetto Dunes Resort Classic in her hometown, Maddie Frank (Hilton Head Island, SC 2020) earned an invitation to the TOC with her performance on the Arthur Hills Golf Course. Frank is currently ranked 123rd on the Performance Index and looks to move up with a strong performance in Pinehurst. Currently ranked 121st on the Performance Index, Amber Mackiewicz (Virginia Beach, VA 2023) finished in the top 10 nine times during her 2018 season. Mackiewicz earned her invitation at the PKBGT Open Championship with a third place finish in theFutures National division. Her top performance came at NC State’s Lonnie Poole GC in the ProQuip Girls Classic where she finished in second place. McKenzie Daffin (Fort Bragg, NC 2021) is no stranger to success at Pinehurst Resort after winning the North Carolina One-Day Series at Pinehurst No. 1 in early August. 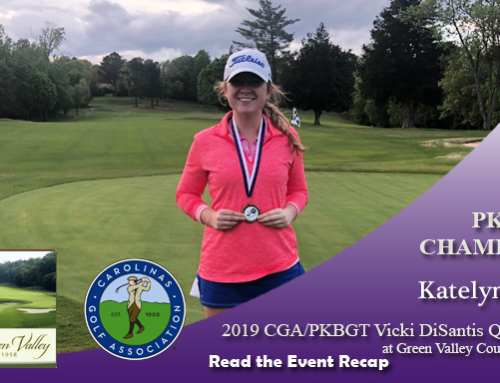 Daffin finished in the top five of several PKBGT Classic events, including the ProQuip Girls Classic at NC State’s Lonnie Poole GC where she came in third place. She is currently ranked 133st on the Performance Index and rounds out our top players to watch. All 61 competitors in the 2018 Tournament of Champions will be challenged to Pinehurst Resorts “Centennial Course”, Pinehurst #8, designed in 1996 by Tom Fazio. The course pays homage to the Pinehurst golf experience in its entirety, including flashes of the infamous Course No. 2. The Course was included in Golf Digest’s America’s Top 100 Public Courses list in 2013-14 and has hosted two PGA Club Pro Championships as well as the 2017 U.S. Amateur Four-Ball Championship. Golf Pride Grips, the #1 Grip on Tour, joins the PKBGT for a second year as the presenting sponsor of the PKBGT Tournament of Champions. With more than 80% of Tour Professionals choosing Golf Pride grips, Golf Pride has laid claim to more major championship wins than any other grip companies. 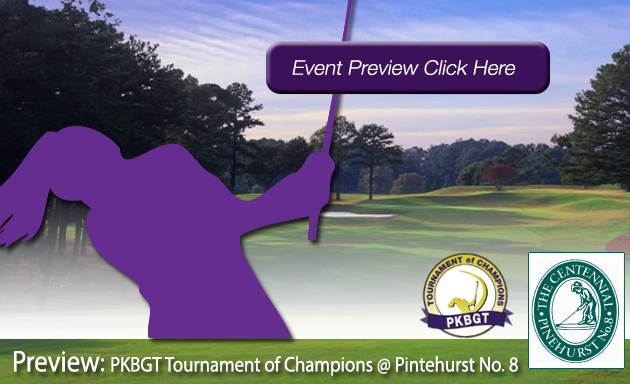 In addition, Golf Pride’s brand new headquarters are in the process of being built on the property of Pinehurst’s Centennial #8, the host of the 2018 PKBGT Tournament of Champions! All competitors will receive a full set of grips as a part of their player gift package. We are thrilled to have Golf Pride’s support of the tour and junior girls golf as we head into the championship next weekend! We look forward to a stellar weekend at one of the premier golf destinations in the world. With a field of incredibly talented players, everyone looks forward to an electric competition in celebration of the success which came in the 2018 season!